If the display on your DMX is starting to show strange characters or other strange behavior, you may need to have one or more of the four-character display modules replaced. 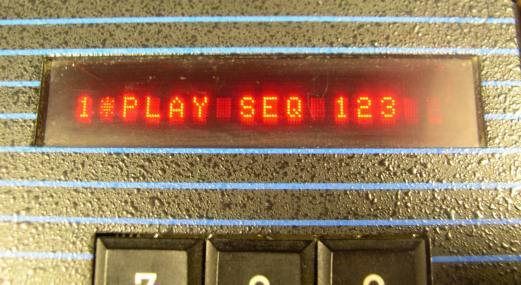 The DL1414 display modules used in the original DMX are no longer manufactured. However, a new type of replacement is available. The DLR1414 is an electrical and physical replacement for the DL1414, but the display format is slightly different. 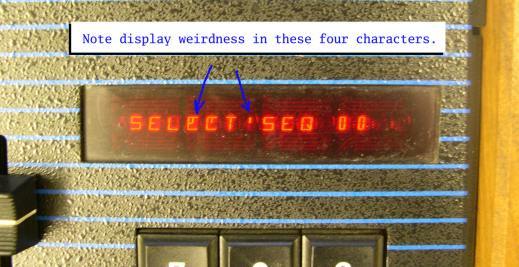 The new display uses a 5 x 7 matrix of dots to represent characters, where the old DL1414 used a 17-segment character. The slightly larger 5 x 7 matrix produces a nice display that is more pleasing to the eye and easier to read. Replace all four display modules with the new style: $140. Order here. Occasionally we will have working used DL1414 modules in stock. Replace selected display module(s) with old style: $30 for each display module if used parts are available. Mixing old and new display modules is possible, but not recommended. For more information, contact Paul White.